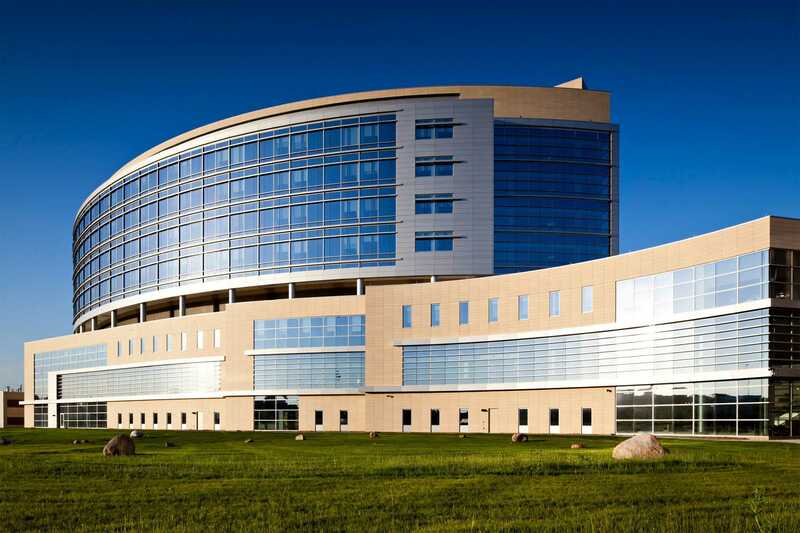 To design a community hospital that fits into Cleveland’s expanding suburban setting and efficiently serves patients and caregivers from the day it opens through an expected 500 percent growth rate. 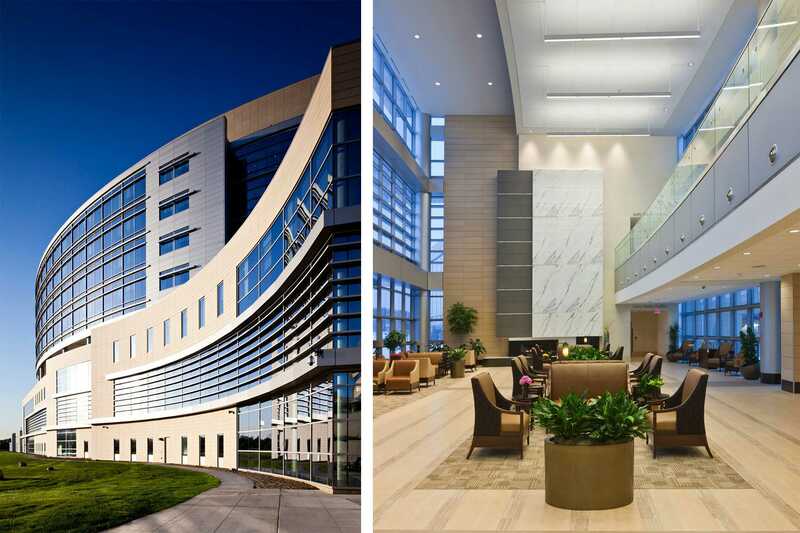 Ahuja Medical Center’s modern exterior acknowledges the growing community it serves, particularly baby-boomers living in the eastern suburbs of Cleveland. 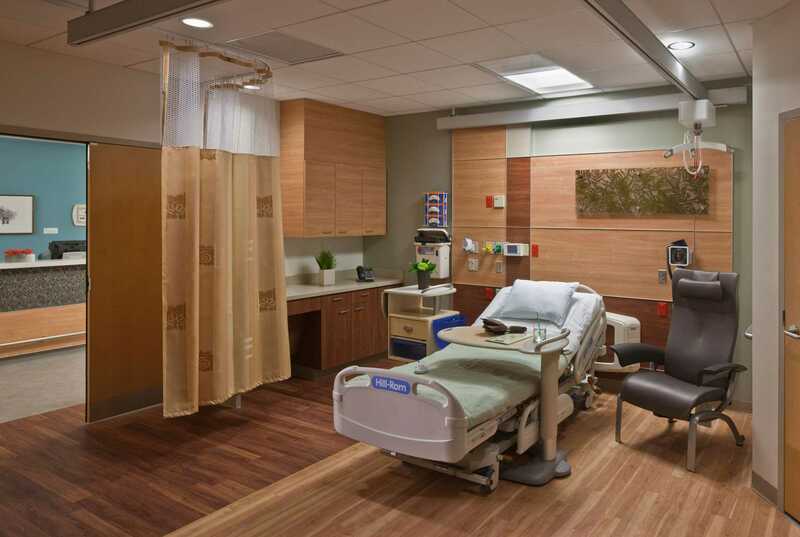 It is organized around a flexible strategy for growth that allows the public and service spines to expand incrementally, with the ability to expand from its initial 144 beds up to 600 beds. 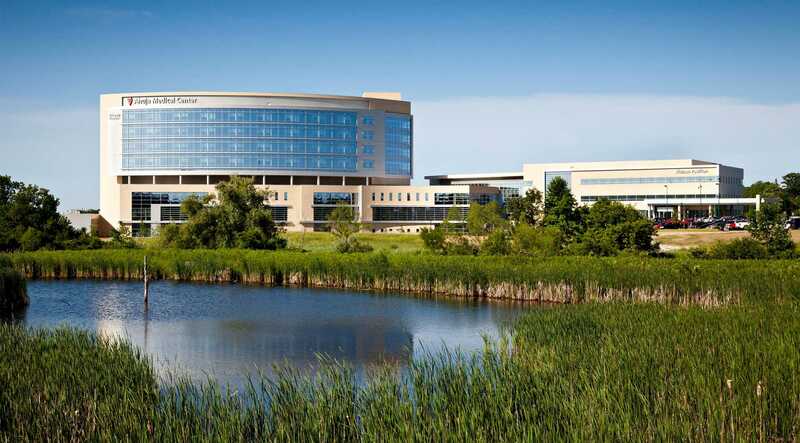 A seven-story, curved tower is easily visible from the freeway, while internal views frame adjoining wetlands. 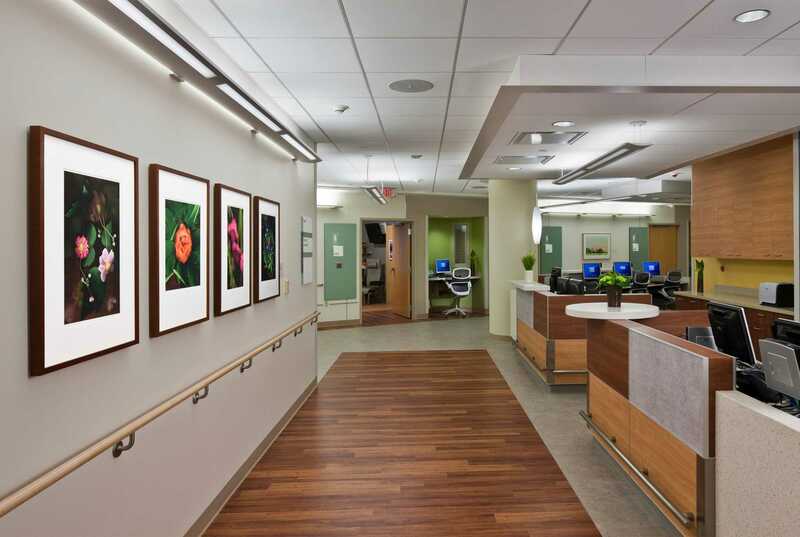 Inside, the hospital embraces a “community of care” philosophy, promoting the welfare of both patients and staff through improved efficiencies and safety. With lots of natural light and materials, the hospital brings the outside in and makes it one with its natural surroundings. The facility incorporates the site’s wetlands, bio swales and native plants. In addition, the bed tower is designed to take maximum advantage of passive solar energy.